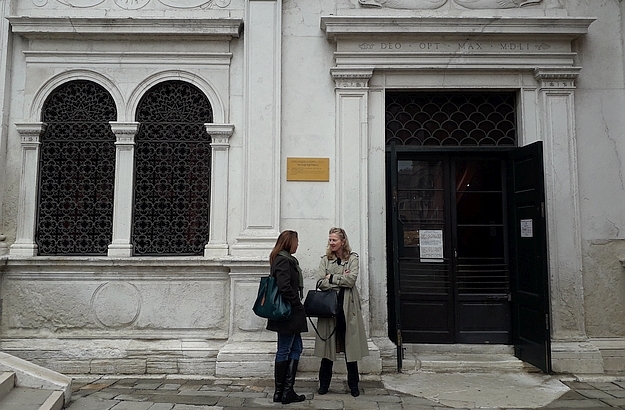 Having a chat in front of the Scuola di San Giorgio degli Schiavoni. Venitians going about their daily business, in front of the church. A typical Venitian bacaro, close to the church… Un’ ombra, per favore ! On reading this, I smiled. I have certainly encountered, over the years, my own share of greedy and grumpy custodians in Italy. But, thankfully, things have changed for the better since Henry James’ time. True, the lighting at San Giorgio degli Schiavoni is still not ideal; but extensive restoration has been carried out on most of the chapel’s works of art; and on each of my visits there, I was able to enjoy some respite from the crowds swarming in other parts of the city, such as the nearby Piazza San Marco. 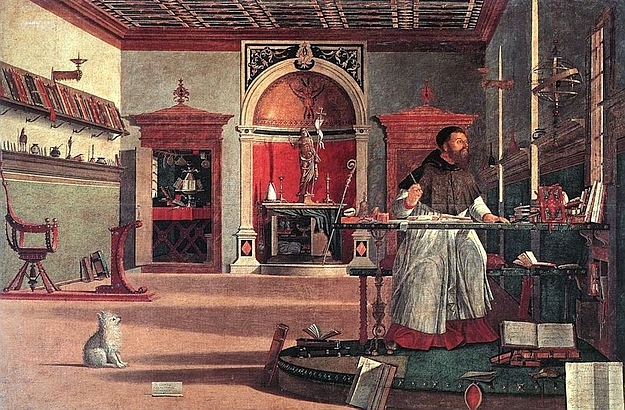 The church is home to a fresco cycle painted by Vittorio Carpaccio, a Venetian artist I knew little about before starting the refurbishing of our Palazzo Ca’nova. 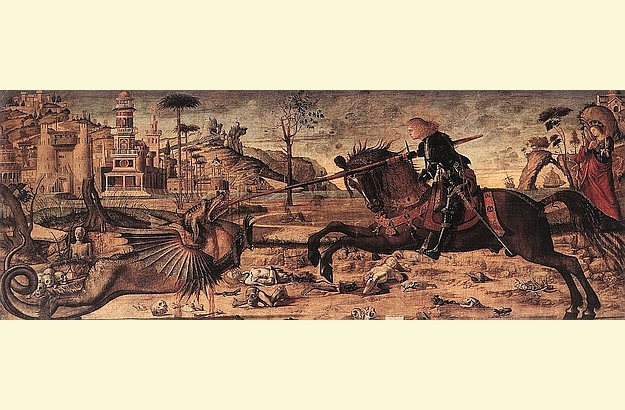 Carpaccio created these frescoes in the early 1500s, depicting scenes of the lives of Saint Gerome, Saint George and Saint Tryphon, the heavenly protectors of Dalmatia – the region which the members of the Scuola came from. 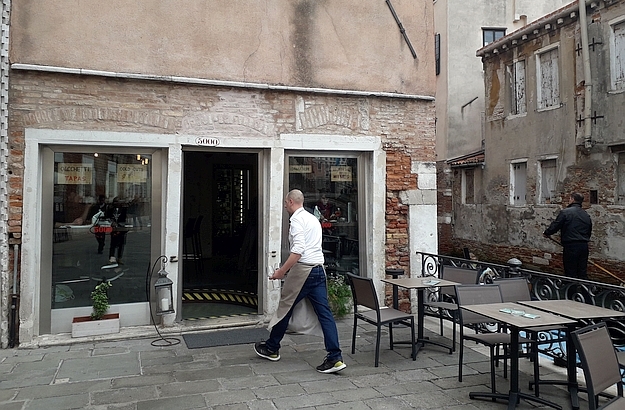 In the Venetian dialect, scuola used to mean “confraternity”, and Schiavoni was in Old Italian the term for “Slavs”, the immigrant community from Dalmatia on the other side of the Adriatic Sea. 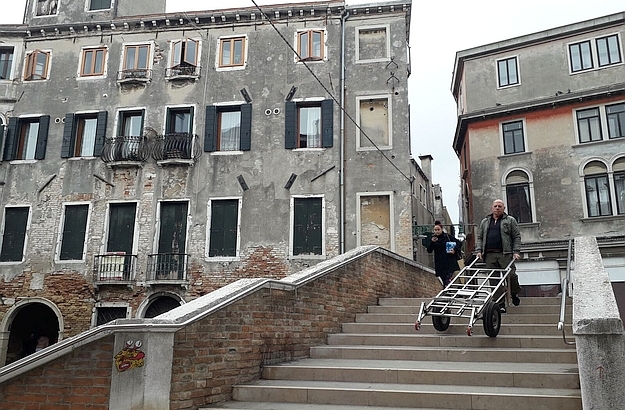 For more information about the intriguing history of the Serenissima’s scuole, and the art works which they house, please visit the dedicated page on the Churches of Venice website.